We are always pleased to assist our clients whenever we can. This document gives details of our terms and conditions of service. If, however, you have any queries or need clarification, please contact us and a member of our team will be happy to help you. Please be aware that any information provided through any part of our website (examples: news, main site, phone, email,â¦) is for information purposes only and does not constitute professional advice. No professional advice can be given without a clinical consultation with a dentist. 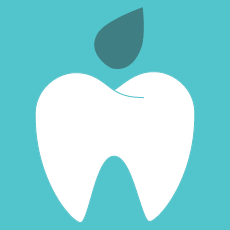 For professional dental advice we strongly recommend that you see a dentist for consultation. Dental Perfection does have a small contract with NHS Primary Care Trust and treatments are provided on both a private basis and NHS basis. Once your treatment plan has been agreed with the Dentist, we will provide you with a written estimate of your plan. If this plan changes due to radiographic or clinical findings, we will inform you and discuss this with you accordingly. Treatment plans are valid for 30days from the date the treatment was prescribed. If there are any questions on your treatment plan, please do not hesitate to ask us, prior to commencing treatment. Certain treatments require completion of a written consent form. This is in to ensure that we have explained the treatment, aftercare and any risk to you thoroughly, before any of these treatments are carried out. It also allows you to make an informed decision before agreeing to treatment. Dental Perfection does not offer credit and we require fees to be settled at the appointment where treatment is provided. Where treatment incurs a laboratory fee, at least 50% of the total fee is due at the appointment where impressions are taken. Fees for certain treatments like dental implants and clear braces are taken in staged payments at each visit. We will discuss and plan a schedule of payment for you. In cases where treatment is paid for on finance through a Finance company, please be aware that the finance agreement must be accepted and signed prior to the start of that treatment. Please note that a minimum deposit may also be required. If you have financed any of the costs of your treatment through the finance company, and wish to cancel your treatment after signing the agreement forms, please be aware that a cancelation fee of up to 20% of the total finance amount will be charged. Dental Perfection does not accept any payments by cheque. Dental Perfection reserves the right to charge time-based deposits for booking future appointments. Deposits are deductible off the cost of treatment. Dental Perfection reserves the right to make a charge for any debt passed to a debt collection agency. All the fees applied for any form of dental treatment at the practice are based on; the materials used, laboratory costs incurred (if applicable), and the clinical time spent. The fees are however, demonstrated as treatments prescribed on the treatment plan for your information. Dental Perfection reserves the right to charge up to £60per hour, in the event of a missed appointment or an appointment cancelled with less than 24 hours notice. For appointments longer than 1 hour, we require at least 72 hours. The veneers, crowns, bridges and dentures have not been damaged as a result of an accident, trauma or excessive grinding. No treatment is guaranteed for more than 1 year. Dental Perfection may use images and x-rays of your smile and teeth only, for marketing and educational purposes on our website, social media platforms and on promotional and educational literature. Your name will never be published, and identity will never be disclosed. However, if you DO NOT wish for us to use your images and x-rays in this way, please let us know. The health of our patients is our highest priority, and we also like to keep our patients informed of various important changes at the clinic and of our latest special offers. We like to remind our patients of their appointments, when they are due for appointments, and other various important reminders. On this note, you may be periodically contacted by the clinic via phone, text, email or by letter in the post. If you DO NOT wish to be contacted by the clinic by any or all of these means, please let us know. We always take complaints about any aspects of our services very seriously, in order to ensure that every patient has only the very best experience at all times. Complaints can be made in writing by filling out a simple complaints form available from reception. Complaints should be made to the ‘Dental Perfection Complaints Manager’, and should be clear, so that they can be dealt with efficiently. Every complaint will receive immediate written/email acknowledgment, and the Management will strive to resolve the complaint within a quick, reasonable period of time (usually about 2 weeks). For our full complaints procedure and policy, please ask a member of our reception team. If a complaint is about any aspect of clinical care or associated charges it will normally be acknowledged by the Management team and then referred to the treating Dentist. Please note that in these cases, Dental Perfection accepts no liability on behalf of the treating Dentist and acts as a liaison between the patient and the treating Dentist, only. We operate a zero tolerance policy to abuse to our Dentists and staff, loud/disorderly/drunken behaviour, persistent missing and late cancelation of appointments (after multiple warnings). In these situations, Dental Perfection reserves the right to refuse treatment and admission. We store all patient personal details on a secure computer system in accordance with the Data Protection Act. All clinical notes, digital radiographs, digital photographs etc remain the property of Dental Perfection. Copies of notes, radiographs and photographs can be made available on request, and Dental Perfection reserves the right to charge an administration fee for these.